I debated whether or not I wanted to post pictures of this project. It was a unique circumstance... this client had hired and was working with another designer but unfortunately there was poor business being practiced so he had to move on. He hired me to finish up the job.. because of this, I'm only posting snippets of the work I did. This is his media/game room. A HUGE open space with a large sectional and a pool table. 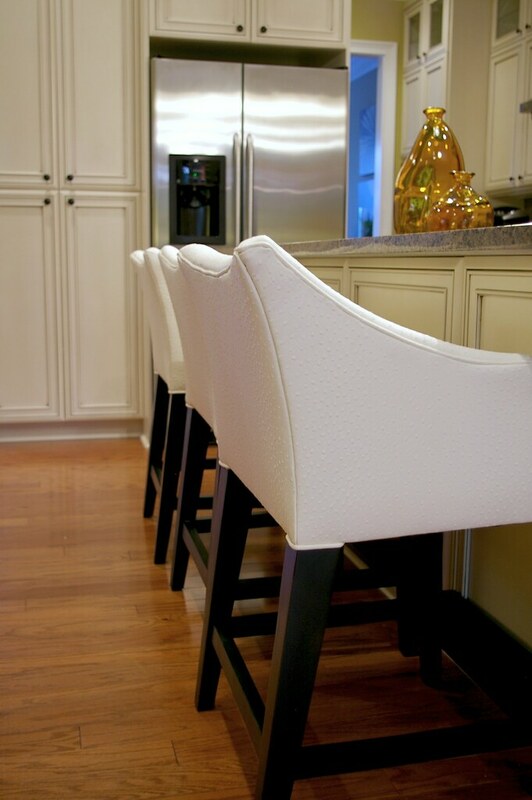 These stools are upholstered in faux ostrich leather.. aren't they cool? 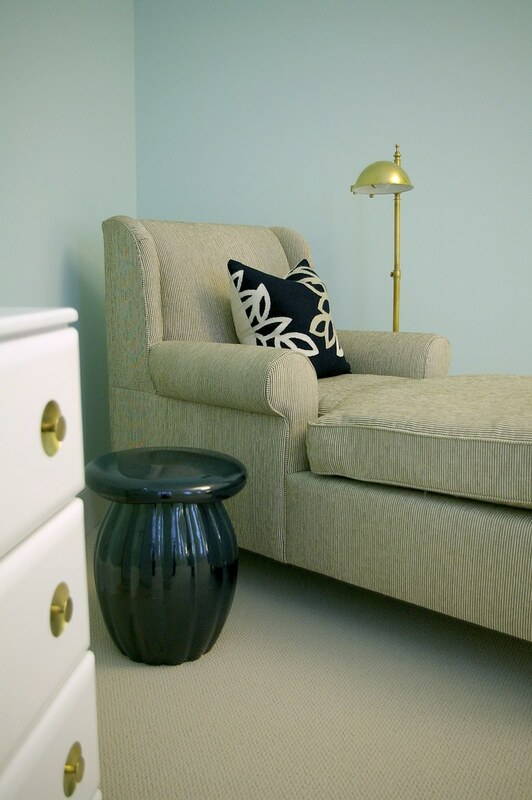 My favorite room of the project was his daughter's room. 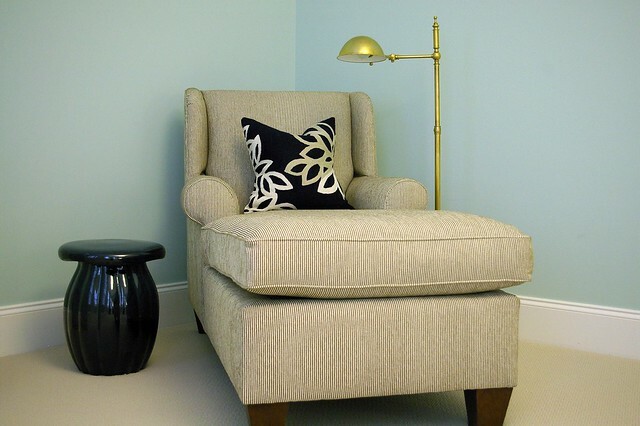 The only thing the previous designer did in this room was pick the paint, so it was a blank canvas for me... fun!! The daughter is currently in college and doesn't live with him, so the room also functions as a guest room. (this room isn't quite finished/styled, which is why it looks a bit bare). The X benches are from Ballard (and I JUST realized they are going the wrong way.. LOL! The guest bedroom had just been used and I didn't notice as I was taking pics.. oops). 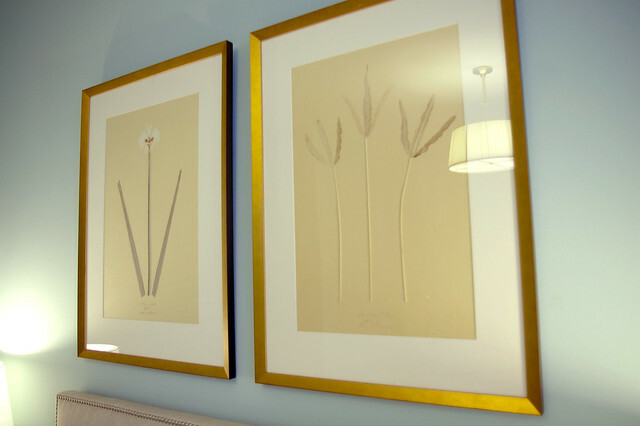 I adore these botanicals. They are actual pressed flowers/leaves! This dresser is one of my favorite pieces.. isn't it awesome?! It's vintage and I found it on eBay and we had it sprayed in white satin lacquer. Love the guest room! Any suggestions on where to get x-stools (or something similar) for less? I've been on the hunt! 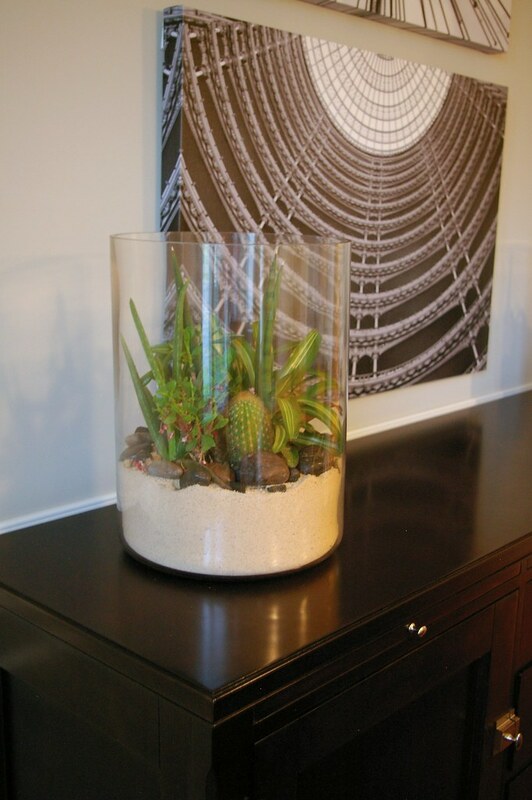 love the succulents and catus! so cute. xo jillian:: ps im hosting a judy kaufmann print giveaway! 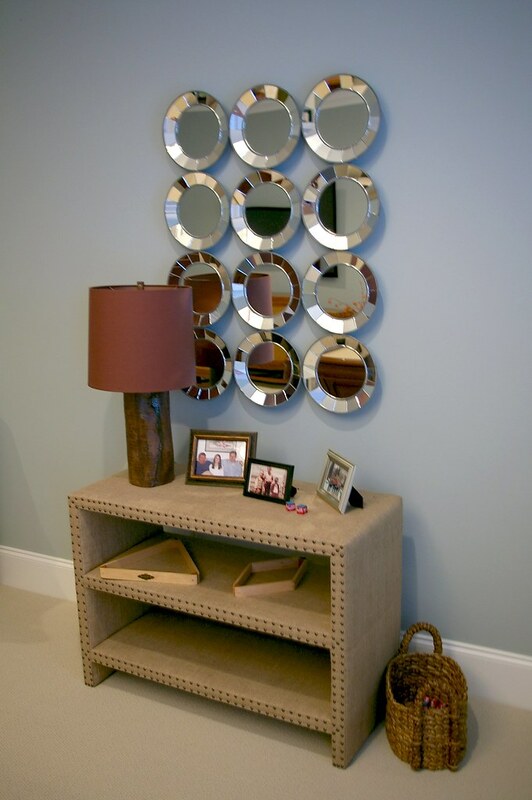 That dresser is very Jonathan Adler - I'm sure at a fraction of the price! 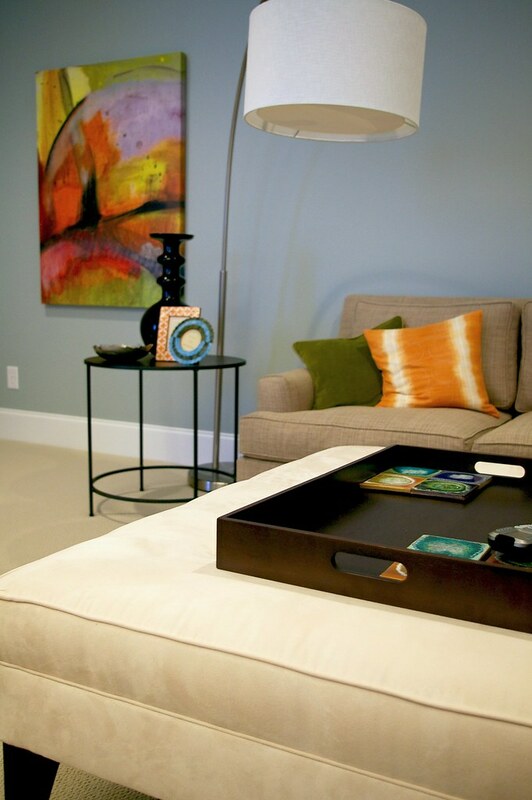 Can you tell me the paint color in the guest bedroom? I love it! Love it all. Looks very inviting. 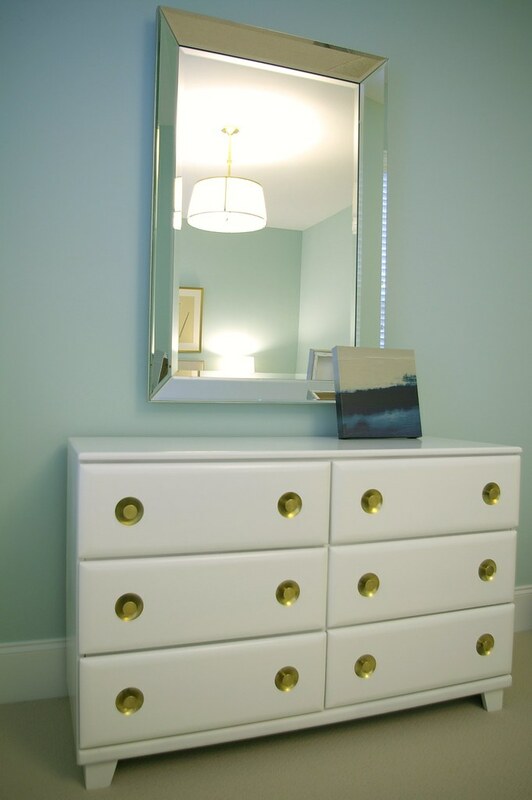 I really like the nailhead touches, gold lamp, dresser, colors. Beautiful home. 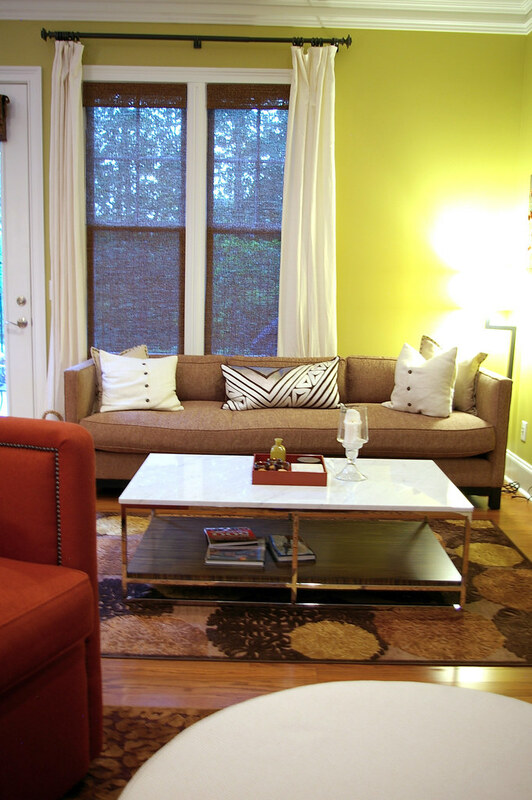 What fabric is on the ballard stools? The guest room looks BE-U-Tiful!! I love that striped chase and the dresser. That dresser is amaze. What a fun project. This looks so great Bryn! Nice job coming in and taking over someone's mess! 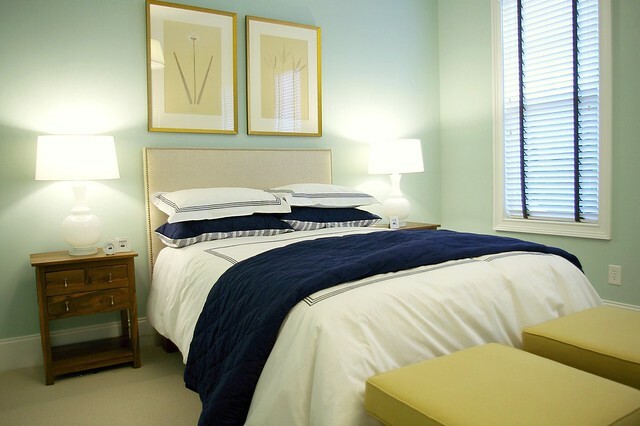 Wow, I lve the colors and linens in the bedroom. The navy and white with the yellow is just great. 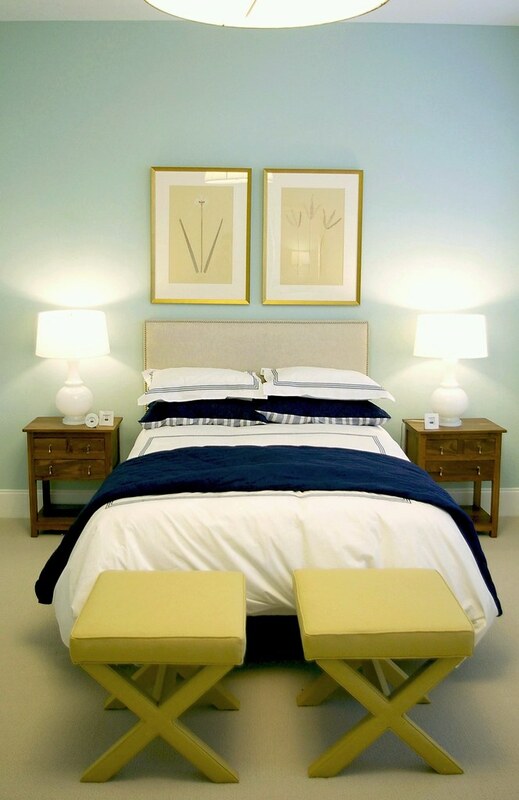 I have been looking for similar bedside tables - would you mind sharing details on those? could you share your paint colors? Looks great Bryn! Would you be willing to share any info about the coffee table?